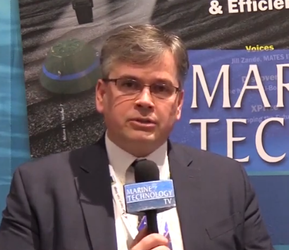 The U.K. Hydrographic Office (UKHO) said it has deployed a motorboat to survey the waters off Dominica as part of the Commonwealth Marine Economies (CME) Program. 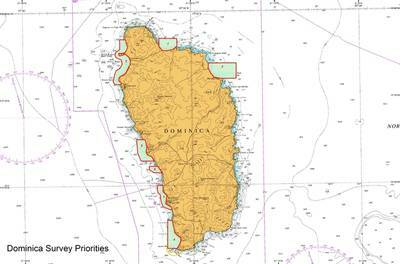 Following a stakeholder meeting with Dominica’s Maritime Authority and wider government in late 2017 after Hurricane Maria, priority survey areas were agreed to capture seabed mapping data of Dominica’s main ports and approaches. Surveying is expected to continue throughout September, focusing on areas including Roseau, Portsmouth and Soufriere Bay. Data from the survey will be used to update navigation charts of the region, as well as helping Dominica to meet its international maritime obligations, including respective elements of the Implementation of IMO Instruments Code (IIIC). These updated charts will reduce navigational risk and improve the safety of ships, cargo and crew, encouraging access for its growing cruise ship sector and maximizing efficiency of trade by enabling ships to confidently increase cargo-carrying capacity. This data will also be supplied to the government of Dominica to support a range of environmental and scientific applications. This will help Dominica to better manage the marine environment, supporting the sustainable management of fisheries and other marine resources, as well as coastal protection and management. This work forms part of the CME Program, which is funded by the U.K. Government and delivered by the UKHO, the Centre for Environment, Fisheries and Aquaculture Science (Cefas) and the National Oceanography Centre (NOC). The program aims to support the sustainable growth of Commonwealth Small Island Developing States (SIDS) by making the most of their natural economic and environmental resources.